4/12/17: Meet Liliana. She is a petite 5 month old sweet little girl. She loves to cuddle and purrs up a storm. She is spayed, up to date on all medical and microchipped. 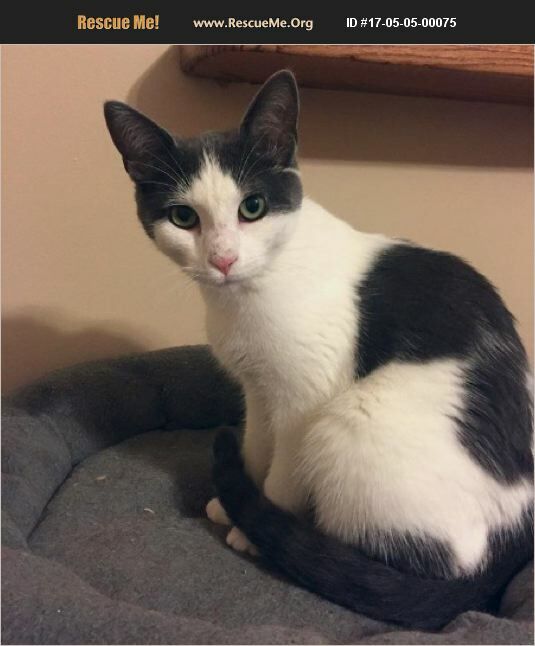 If you are interested in adopting her, please use the following link for our online adoption application: https://ww04.elbowspace.com/secure/20120214123524751639 Please note: Our mailing address is a PO Box and not a physical location to meet or view cats/kittens. All our cats/kittens are in foster homes and can be seen at weekly adoption events.